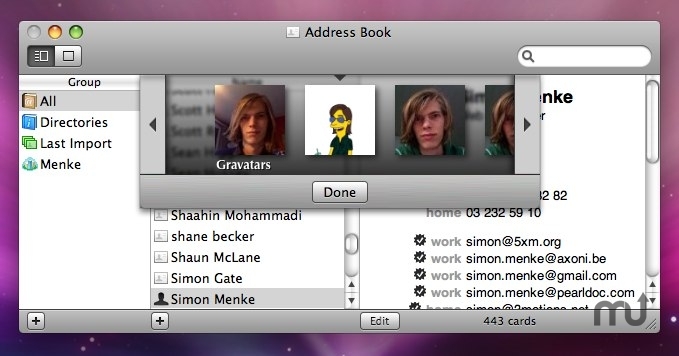 Gravatars and Pavatars for Address Book. Is there a better alternative to Avatars? Is Avatars really the best app in Personal Info Managers category? Will Avatars work good on macOS 10.13.4? Avatars is a little plugin for Address Book which allows you to download Gravatars, Pavatars and hCard profile pictures for all your contacts. Fixed a problem with the installer (SIMBL was not getting installed). Avatars needs a rating. Be the first to rate this app and get the discussion started!